Mean Joe Greene was the perfect former Pittsburgh Super Bowl legend to sign autographs and take pictures with every guest hours before the Pittsburgh Steelers played the Green Bay Packers in Super Bowl VLV in Dallas, Texas. Please visit Mean Joe Greene's Official Website to view other bookings of Joe by Direct Sportslink including his Super Bowl commercial for Proctor and Gamble. A big thank you to Direct Sportslink for all of your help in coordinating the Joe Greene and Thurman Thomas appearances. The group loved them! Thanks again for everything. A Joe Greene personal appearance, Joe Greene speaking engagement, or Joe Greene endorsement will reflect well on your company. To hire Joe Greene now for any corporate appearance, fundraiser, motivational speaker event, personal appearance, autograph signing, or website endorsement please contact our celebrity agents at 1-877-6-SPORTS. We will contact Joe Greene or contact Joe Greene's agent and provide you with the booking fees and availability immediately upon your request. Direct Sportslink is the only sports speakers bureau and talent booking agency based in the United States securing only sports talent for corporations, associations, and organizations for motivational speaking engagements, personal appearances, and endorsements. We are the premier sports celebrity booking agency and a sports celebrity procurement expert. Accordingly, we will provide you with any relevant Joe Greene website information and booking agent details so that you can hire Joe Greene for your next event. 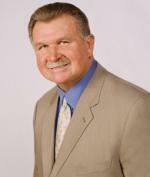 After playing defensive tackle at North Texas State College, Greene was the surprise first-round draft choice of the NFL's Pittsburgh Steelers in 1969. He soon became the leader of the "Steel Curtain" defensive unit that helped the Steelers win four Super Bowls. The 6-foot-4, 260-pound Greene was extremely fast off the ball, so much so that opponents sometimes accused him of being offside when he wasn't. He pioneered the technique of lining up at an angle, with one shoulder pointing at the gap between two offensive linemen, rather than being square to the line of scrimmage. The NFL's defensive rookie of the year in 1969, Greene was named an All-Pro eight consecutive years, from 1970 through 1977, and he was voted defensive player of the year in 1972 and 1974. Greene retired after the 1981 season and later became Pittsburgh's defensive line coach. He has since worked for the Steelers in various capacities. 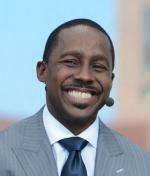 He is a member of the Pro Football Hall of Fame. Mean Joe Greene Official Website. 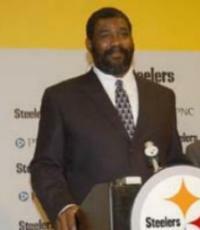 Based on your interest in Joe Greene as a speaker or for a personal appearance, Direct Sportslink has provided you additional links below for other sports talent with similar appearance fees, speaker topics, and categories that match Joe Greene.